Weta Workshop, the special FX house behind the costumes and props in the Lord of the Rings and Chronicles of Narnia films, have given a double leg amputee the ability to swim. Auckland native Nadya Vessey lost both her legs as child due to a medical condition, but always loved swimming. When asked by a young boy why she had no legs, she replied that she was a mermaid -which gave her an idea. 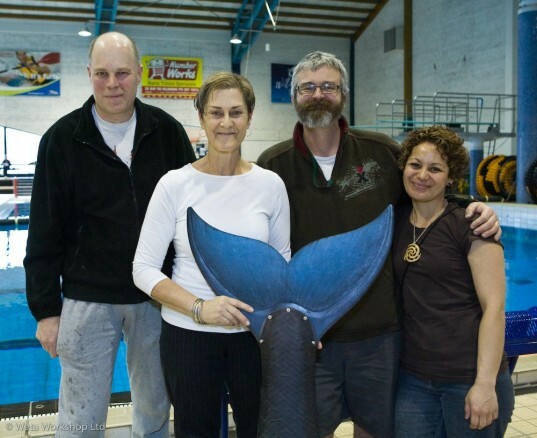 Weta are idolized in New Zealand for their creations, so Vessey contacted them with the challenge to create a prosthetic mermaid tail for swimming. And to her surprise, Weta agreed. The design team custom-made the tail using a blend of 3D modelling and milling technology, combined with Vi Vac vacforming, and a poly-carbonate spine and tail fin. The skin of the tail was made from a layer of neoprene and a lycra outer-layer digitally printed with a stunning ‘scale’ pattern that was designed by one of the concept artists. 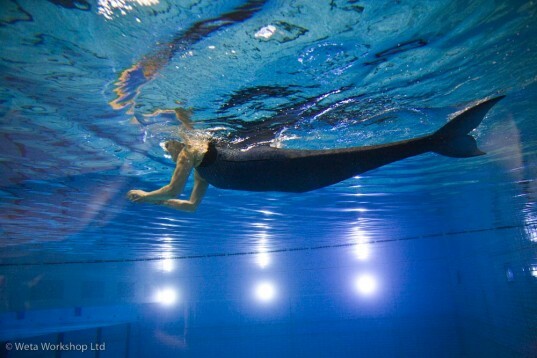 The unique articulated construction of the tail allows Vessey to propel herself through the water just like mermaids are meant to do. Vessey has even said that she is thinking of using the tail to help her complete the swimming section of a triathlon. Weta donated staff time and expertise into make the tail, and Vessey has been able to cover the costs of the materials from a grant that she received from the Kerr-Taylor Foundation Trust.